Cause And Effect is pleased to bring to you this compilation of heretofore unknown electronic groups from the midwest U.S.A. This is an exciting introduction to ten unique groups devoted to exploring and developing new dynamic territories of thought and art such as dream theory, power relationships, deconstruction, media, new global culture, chance and change. Artists included are Grey Area, Practic, Sphere Of Influence, A Drowning Man, Deca-Dense, Innerface, Machine Language, Col5lage, Element and Light On Surface. Excellent production and sound quality. 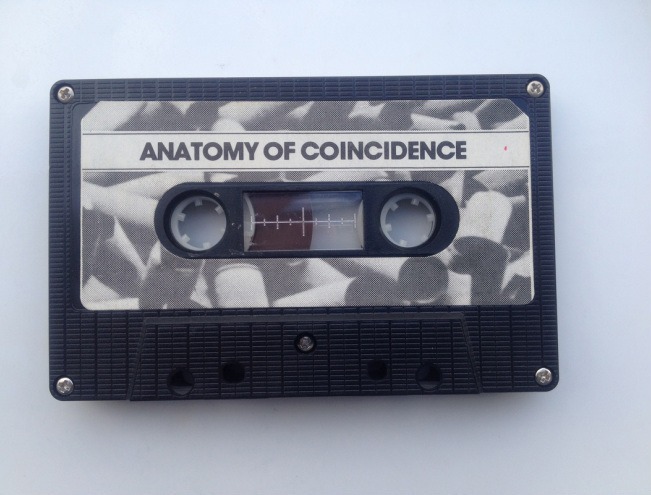 The Anatomy Of Coincidence cassette is presented here in archival form with the permission of Raymond Maxwell. Bandcamp streaming audio player below is 128 kbps mp3. Please adjust the volume to taste on your device. 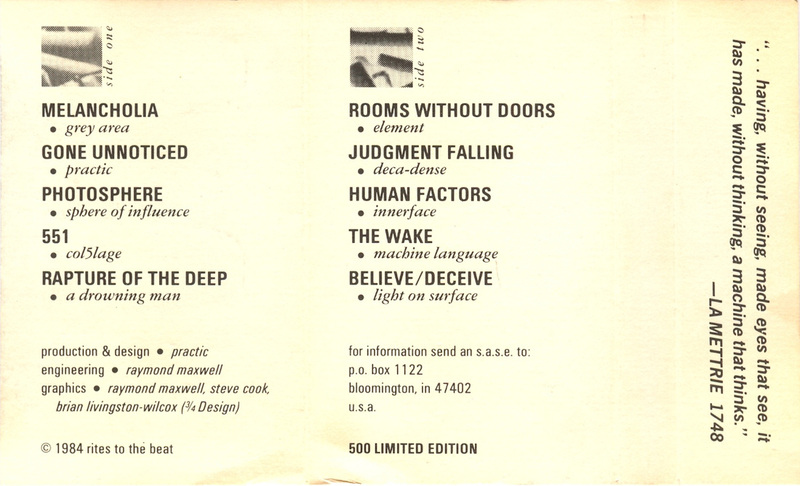 Anatomy Of Coincidence: A Compilation was listed in the January 1985 and May 1985 Cause And Effect Cassette Distribution catalogs. It is presented here strictly for archival, educational, historical, and non-commercial purposes. All rights belong to the artists. These audio files are straight transcriptions from an original copy of the cassette as it was published in 1984. No attempt has been made to enhance or "improve" the sound quality. 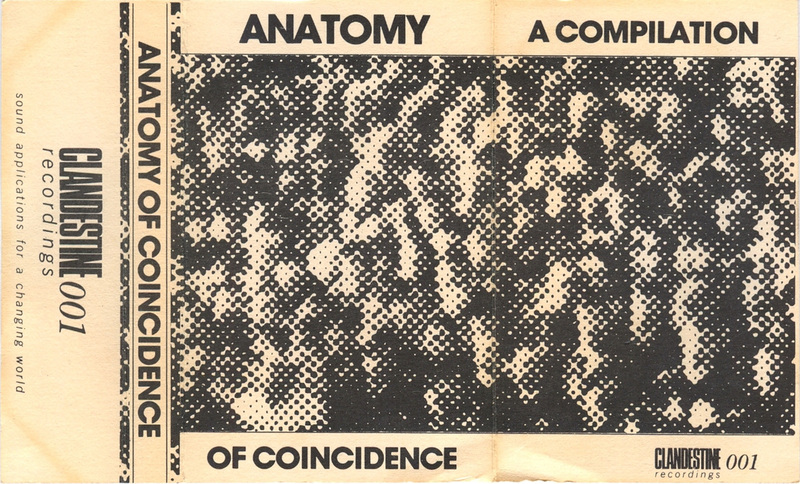 Pictured above is a cover of an original copy of Anatomy Of Coincidence. The cover has discolored/yellowed due to age. This is the first entry of a project that I have recently commenced to thoroughly document the cassettes that were distributed and produced by Cause And Effect. I expect this project to take several years to complete.